By Nancy Young in Mobile. Updated on February 28, 2016 . Planning anything as massive as the most important day of your life requires a lot of time, effort, discussions, negotiations and compromise. It also provides insight into the kind of life you will be sharing with your partner after the big day itself. To keep frustrations and arguments from clouding the whole planning process, be smart about it. Find some help in the form of tools and apps that are readily available that can help you get some of the more sticky, headache-inducing problems out of the way. That way, you can use the remaining time to go through the more personal things that matter, like choosing your wedding band, your wedding gown/tux, your honeymoon spot and writing your vows. 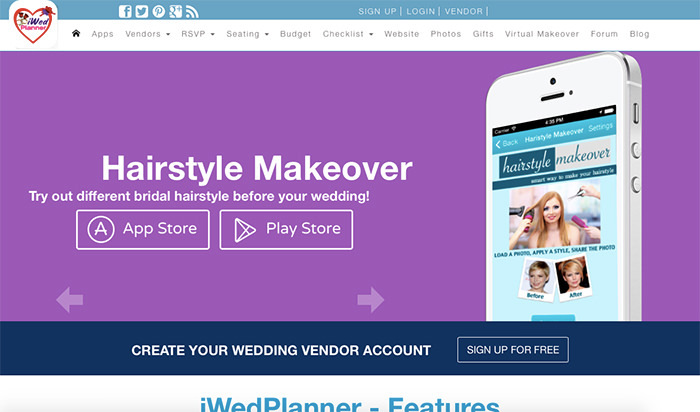 Plan a modern wedding the smart way by using these 19 tools and apps catered to help you make your wedding day a day to remember. 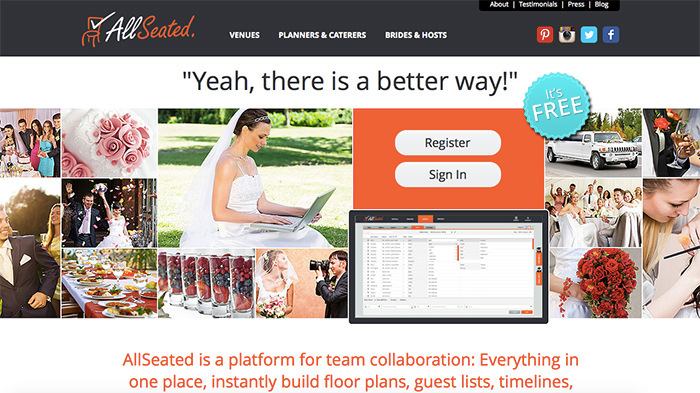 Want to create your own dedicated wedding website but can’t design to save your marriage? 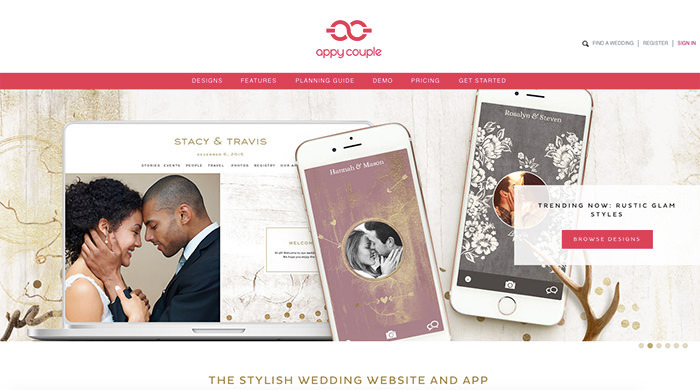 Choose one of hundreds of designs available on Appy Couple, add in your details, and the site builds itself. You’ll get an online website to call yours and an accompanying smartphone app version as well. 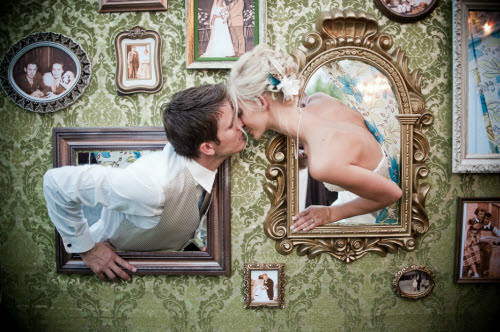 Want your friends and family to remember your wedding years after the event? 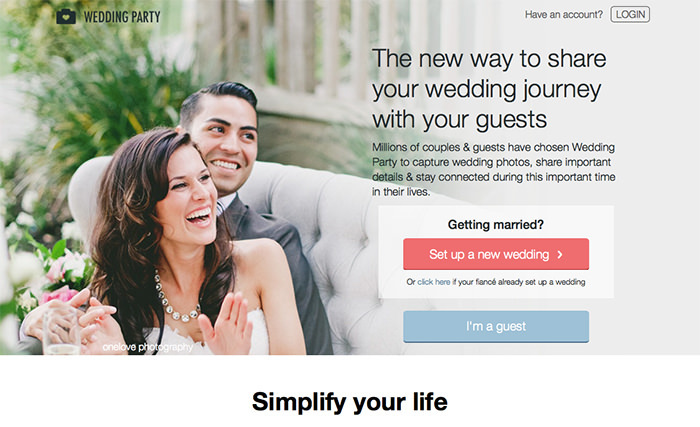 Guesterly offers you an opportunity to create a wedding "yearbook". Send out a questionnaire to all your guests so they can share info about themselves, a photo as well as best wishes dedicated to you and your partner. You can choose to print (2 weeks in advance) or create an digital version in 36 hours. Prices for both versions are available at the site; the printed version is charged based on number of pages while the digital version will be available online for a full year. It is the perfect keepsake for when the wedding is over. If you want to send invitations to your guests but can’t seem to find the time to write, design, print and find their respective addresses to mail the cards to them, let Postable do all that and more on your behalf. Just insert the email addresses of your guests, and Postable will send them a standard emails asking to fill in their mailing addresses. You can then send cards for the many occasions: Save the Date and Invitations, Bridal Party and Shower Invites, Congrats and Thank yous and Anniversaries. This is the mobile phone era; your guest are going to take photos and film videos on their phones during the whole wedding day. 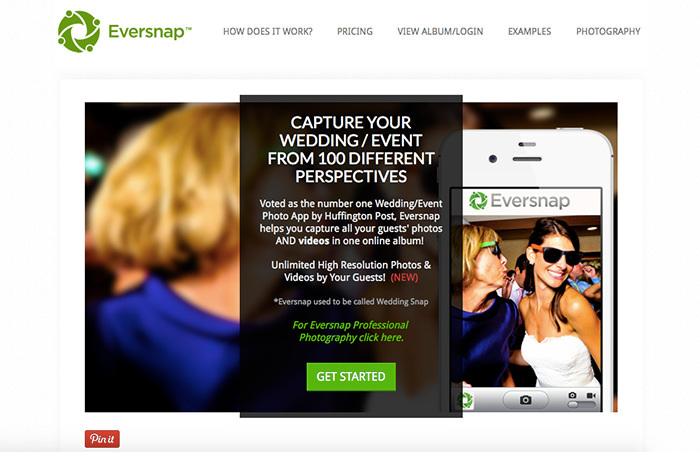 Using Eversnap, a premium service, you can collect your photos and videos from your guests into one private album, so you can enjoy your wedding captured from 100 different perspectives. Ever crowdsourced a video? Do you want your wedding video to be filmed from every possible angle? 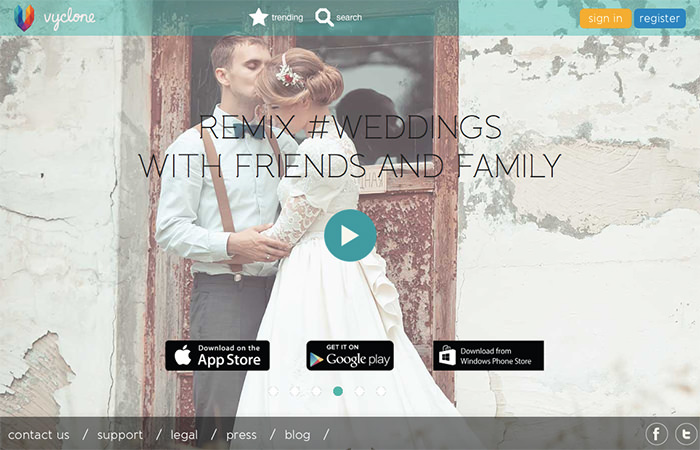 Vyclone will help you to stitch together the videos your guests made to create a unique film of your wedding. 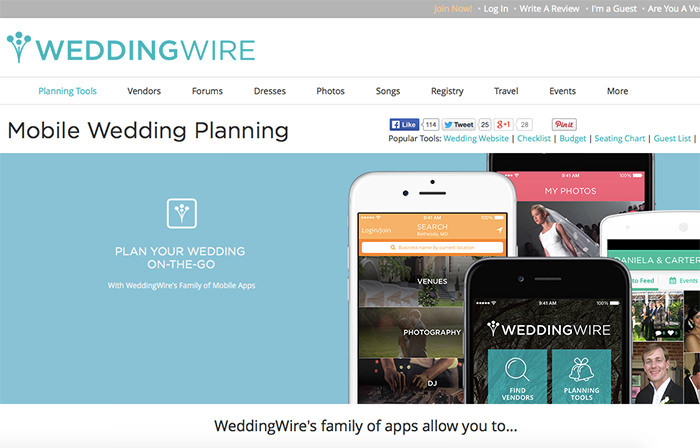 WeddingWire is an overall toolkit anyone needs to plan for their wedding. 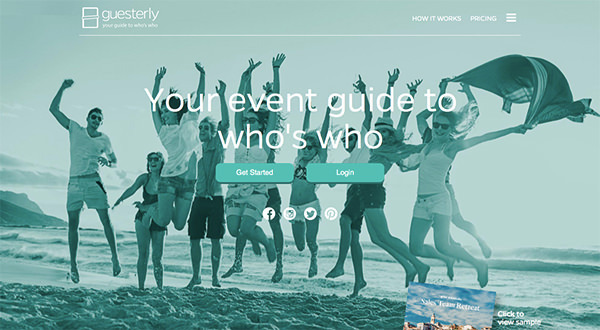 It has a range of planning tools to help you create your guest list, seating chart, find a photographer or DJ or catering service, find a wedding dress, be inspired with real wedding photos, find songs for the event or the reception and more. These days we are more open about giving and expecting wedding gifts. 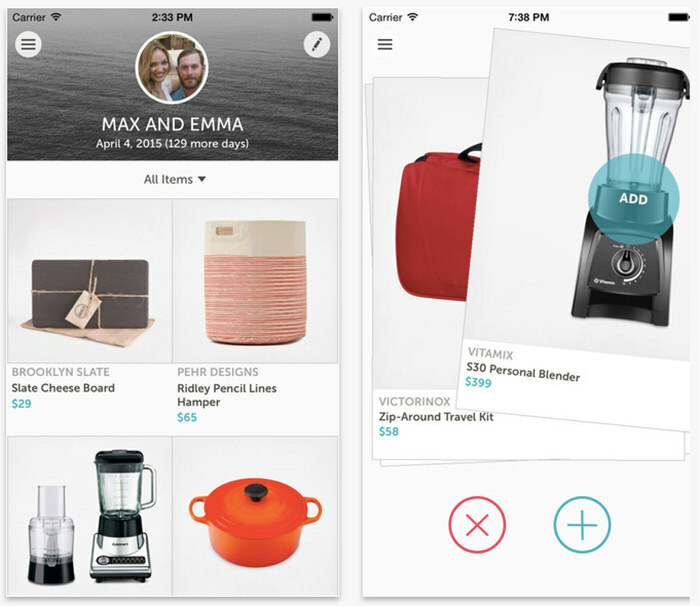 Rather than keep your guests guessing about what you might need, use Zola to display your gift list to your guests, indicating what you actually need for this next phase of your life. My registry is a great app, similar to Zola, with a few extra perks. It lets you add gifts from any store on the Internet, or any store off it, and sync those registries into one universal wishlist. 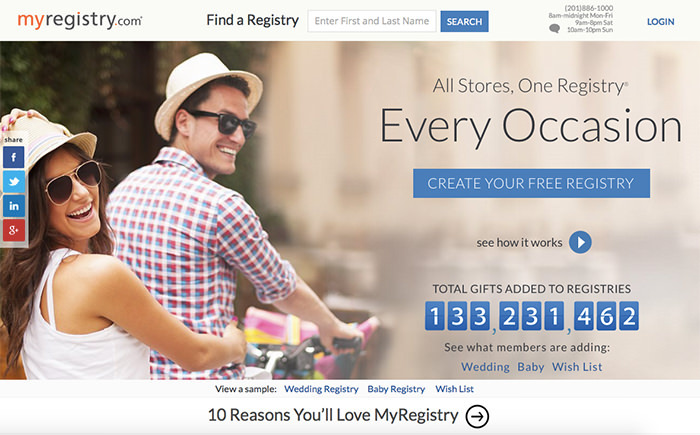 You can create a store registry from at least 20 stores such as Amazon.com, Bloomingdales, Macy’s, Sears and more. One of the simplest or the most complicated task for a wedding is managing the seating order – simplest if you let them sit where they like; complicated, if you want everyone to have a good time at their table. This awesome service allows you to plan your big day with hosts, venue managers, vendors and event planners all in a single place. Group the guests that you think will enjoy each other’s companies and use their color-coding system to seat your guests at your bridal shower, rehearsal dinner, or wedding dinner. You can also invite family members to help you and join in with the planning. Their motto is "for every little part of your big day’. On this website you can find everything you need from a dress for a bride to shoes for a groom. 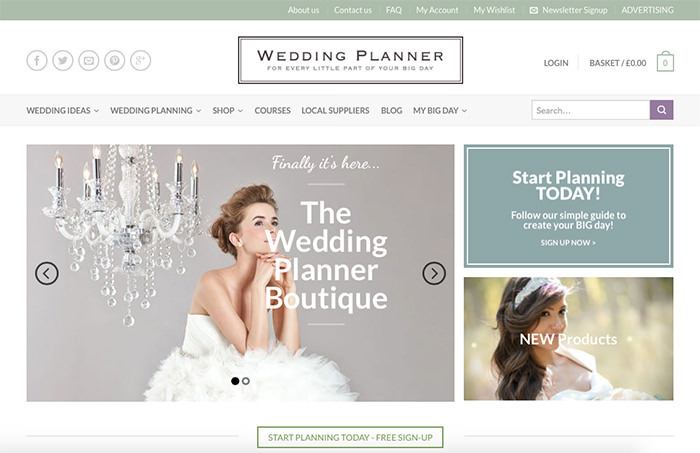 The site is designed with focus on the bride but you can find tools to help you plan a wedding from the beginning to the end. Manage your budget and various lists, find vendors from your area, shop for accessories, get wedding ideas, inspiration and more. Wedding Planner even has wedding planning courses for those who take wedding planning super seriously. The service will help you to design your table plan. 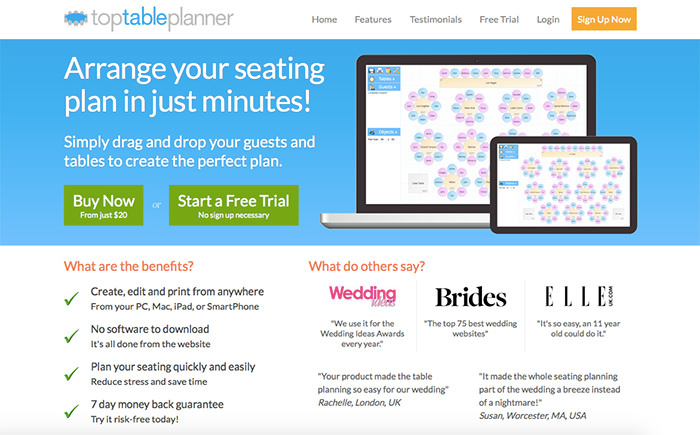 Use their easy admin panel to drag and drop tables and seats to suit your table placements at your wedding venue. Then add your guest list and place each guest in the seating of your choice. Once you are satisfied, print out your table seating plan and guest name cards. Reduce stress and save your time planning your seating quick and simple in a visual manner. Although it is a paid app (starting from just $20), it does have a 7 day trial you can take advantage of and is accessible on desktop, tablet or smartphone. 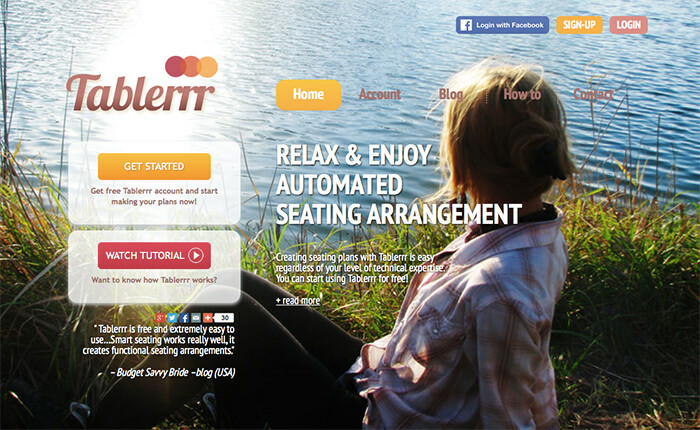 Tablerrr is another online seating arrangement tool that allows you to create seating plans. With Tablerrr you can work online from any computer. Create your event, add your guest list, design your seating plan, then in the Editor mark who can sit next to each other, and who shouldn’t. Drag and drop guests to their seats, and make changes even when your guest list has changes such as cancellations or late registrations. You can also print out table cards with this tool. The Wedding Party app is all you need to collect pictures and details, chat with your guests and discover unique wedding ideas. 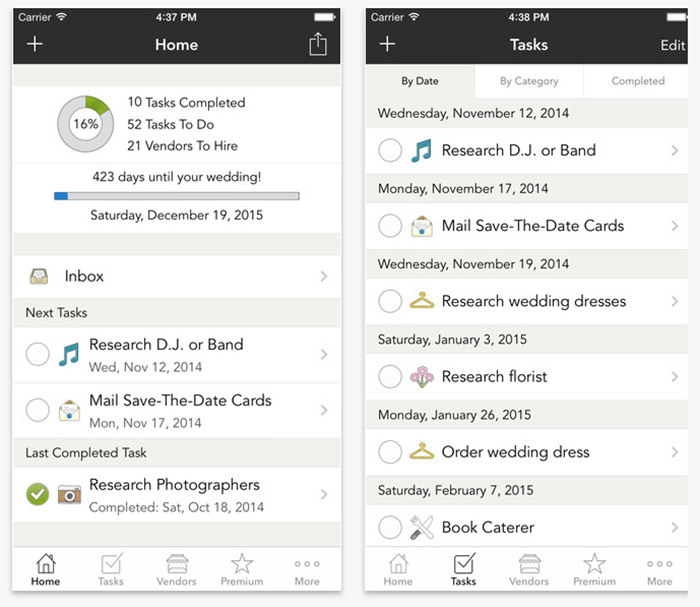 The app allows you to collect and organize all your images from the engagement party right up to the wedding day. 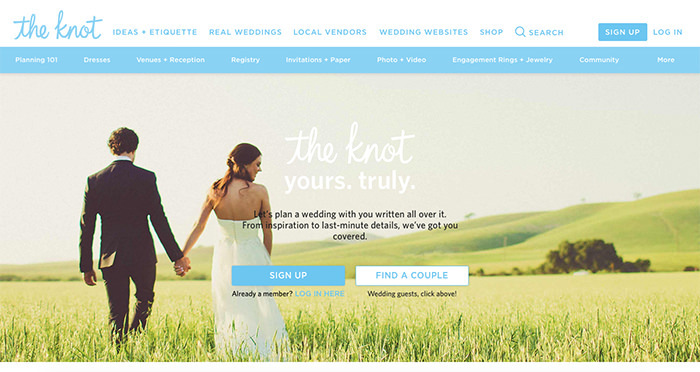 TheKnot has a huge amount of information you may need for your wedding planning needs. Here you’ll find ideas for dresses, invitations, the reception, rings and jewelry and more. You can also ask for ideas from the community or get ideas from real actual weddings of other couples. The Knot is also a place where you can find vendors and caterers to service your wedding day, as well as photographers, videographers and photo booths setups. 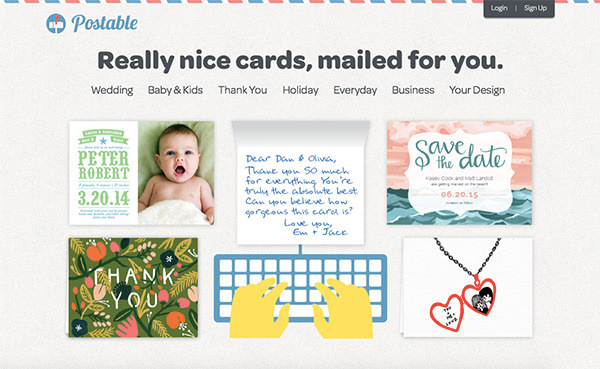 You can also create your wedding website and a registry in the same place. iWedPlanner is home to vendors from a ton of categories from wedding caterers to DJs, from reception venues to accommodation for guests, from wedding favors and gown cleaning to name change services. It is also home to a forum where you can plenty of answers to wedding-related questions. WeddingHappy is a free iPhone app that does not require Internet connection to use, unlike the other wedding apps in this list. You can search for vendors, set up your checklists and calendar notifications, sync your wedding plans to other Apple devices and more. The task lists contain categories that help you keep you on your toes when it comes to doing the research required such as looking for a DJ, ordering your wedding dress, asking around for a florist and more. WeddingDj is an iPhone app for running your wedding music and it is an incredibly detailed music curating app. 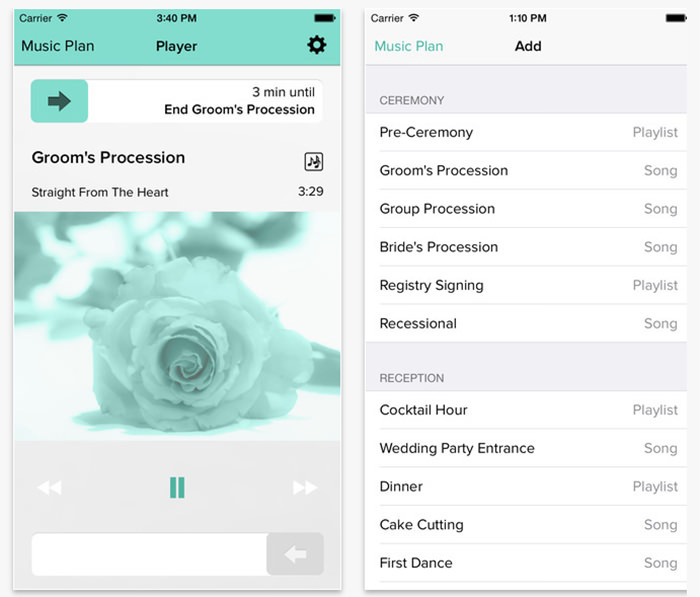 If you think that this app is just to plan for your wedding music, you’re going to get schooled by the app. You need a playlist for the pre-ceremony and another for the cocktail hours. You can set songs for the first dance, the cake cutting, the registry signing, group procession, wedding party entrance, dinner, plus the party where everyone hits the dancefloor. With all the selections set, do you still need a DJ? 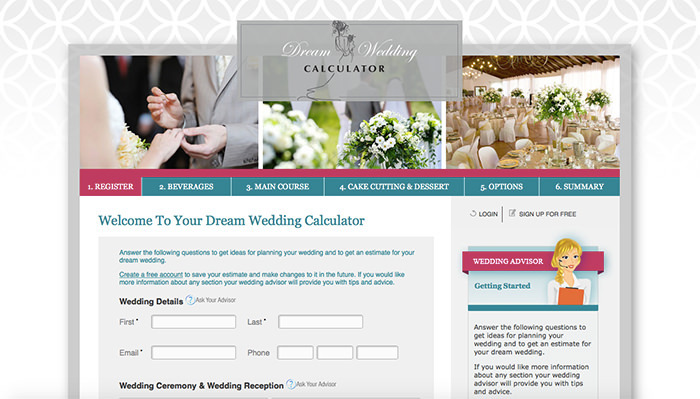 Want to find out what your dream wedding would cost for you? Just answer some simple questions and the tool will work it out. In any case, be warned, the final figure may make you cry! Weddings can be expensive if you do not keep to the budget you have planned. 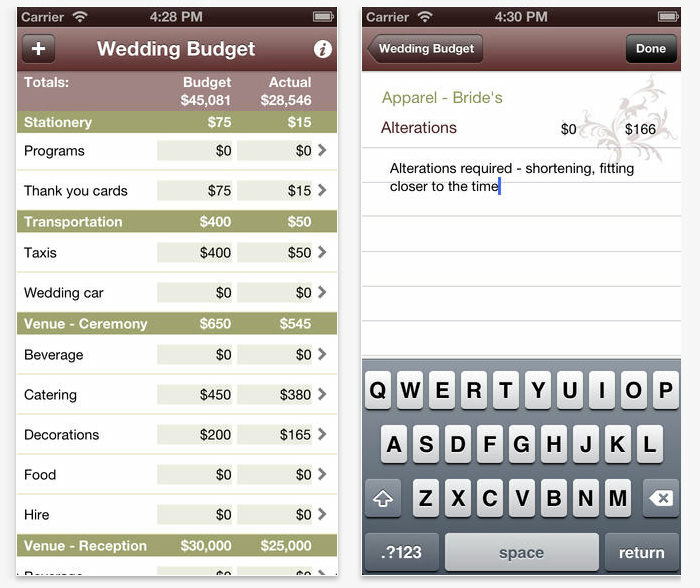 This wedding budget tool comes with the standard 50 expense items you will probably use: fill in the costs, add notes, add or remove items during the process or share your budget with your family and friends for advice or tips.